In March, the Open Compute Project (OCP) held its annual US Summit at the San Jose Convention Center in California. The Summit hosted more than 3,000 key decision makers, executives, engineers, developers and suppliers – including the LTO Program team. The purpose was to help grow and support the open hardware ecosystem. In this BlogBytes, we will review key events at the conference, what the LTO Program presented and what makes LTO technology an open-standard. According to the OCP website, “The Open Compute Project Foundation provides a structure in which individuals and organizations can share their intellectual property with others and encourage the IT industry to evolve.” This sharing of information took place at the US Summit with keynote presentations by industry giants, including Microsoft, Facebook and Intel, as well as engineering workshops featuring in-depth discoveries in a number of areas from data center to storage and high performance computing. In addition, the exhibition hall was packed with hardware and software offerings. The LTO Program showcased LTO-8 technology and the Linear Tape File System (LTFS). LTO technology offerings are the embodiment of open technology. The open-standard specifications for the technology are a collaboration of innovation from industry leaders HPE, IBM and Quantum, the Technology Provider Companies (TPCs). These specifications can be licensed by any organization that can make products based on the specifications and can receive certification that the products adhere to these standards. The LTO open-standard specifications also enable compatibility between competitive products. 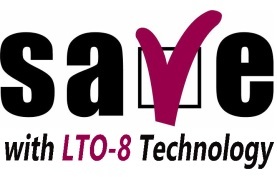 LTO-8 technology supports partitioning of tape contents, which enables use of the Linear Tape File System. LTFS gives users the ability to use tape in a disk-like fashion for outstanding management and usability. The tape contents appear in the OS browser directory and support simple “drag and drop” operations. Speaking of openness, in 2016 the International Standardization Organization (ISO) named LTFS an International Standard! 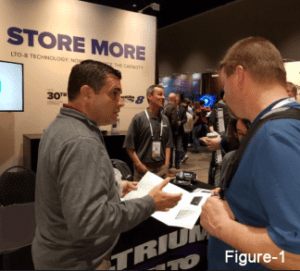 The OCP Summit was a tremendous venue for interacting with industry experts and for the LTO Program to showcase LTO technology’s open-standards featuring LTO-8 tape and LTFS. Come see LTO-8 technology and LTFS in action at NAB Show 2018 in Las Vegas, April 9-12 at booth SL10321!